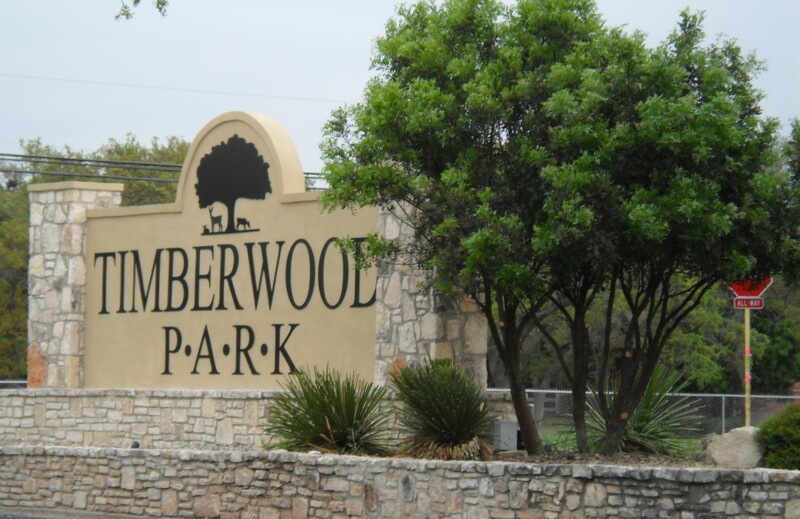 There have been several comments made recently on different social platforms as well as through current board member e-mail blitzes to limited specific groups within Timberwood Park, which tout the standing Timberwood has in “best places to live in the San Antonio area”. Our current HOA board, as a platform to achieve re-election for incumbents running, has indicated this is due to their leadership and the community events and activities provided property owners through our assessment dollars. While community events and activities are certainly part of the fabric of a great neighborhood, and we have many good ones, one of the top reasons Timberwood is a great place to live is the non-annexation agreement which was negotiated and put in place PRIOR to the current HOA board by previous boards who stewarded Timberwood at a time when far less funding was available to accomplish anything of substance. The non-annexation agreement ensures property owners from having to pay city property taxes until 2033. This benefit alone, is causing many to look at Timberwood along with our spacious treed lots, our custom homes and our abundant wildlife as reasons to move to our neighborhood. It’s also been said that property values have gone up because our park/amenity center area was recently improved by our current HOA board. Improvements would have been something any board would have attempted on some scale given the number of years the park sat idle without many dollars being spent to improve it. Let’s give credit to working toward improving our park/amenity center area, that’s certainly been undertaken, but it’s not what drives property values. Ultimately, tax assessed property values are determined by the tax assessor who weighs various factors to calculate those values. These include size of home, type of construction, age of home, size and type of lot, features of home and any additional property features/upgrades, the county/municipality in which the property resides, etc., not common area features in the development. Tax assessed values drive property values and are one of the main determining factors realtors use to set market value on the property when they list it to sell. Five years after turnover where are we? Five years after turnover, the current HOA board has not saved a dime toward capital improvements. Looking at the HOA annual tax reports for 2014, the HOA board overspent approximately $300,000 more than we took in for revenue. In 2015 we had a bottom line on our tax return of about $70,000 after all expenses and income were tallied. Is this good stewardship and management of our assessment dollars? In most well-run businesses, and this is a business, saving would be part of a managed, strategic, well thought-out master plan. And yet, master plans exist, two of them in fact! But neither have been followed! It seems like with 5 years and $600,000+ a year to work with, it would be possible to save some money toward long-range goals, while incrementally working on upgrades and improvements. Instead we seem to be looking at borrowing money to facilitate non-essential capital improvements of a very large scale. Better planning, fiscal management and following a master plan would greatly enhance how our assessment dollars are spent in the future. The larger job for the HOA is to manage our assessment dollars and the development effectively on behalf of ALL property owners. Sending e-blasts to specific groups, like the swim team, seeking votes for incumbents while not referencing the entire electoral process and not sending a message to ALL property owners about voting in general without bias, seems a bit less than representative of the entire population of Timberwood Park. Electing new thinkers to the table means that not only do you get a new perspective, but you allow a transition of those who have served their community as volunteers for an extended period-of-time to take a break, with the thanks of their community, and allow others an opportunity to step up to work on making Timberwood a great place to live! Cycling out keeps elected volunteers fresh to the expectations of the community it serves. It also allows others to serve and expands involvement by the population at large. Give some of the new individuals who have stepped up to run for office a chance. Ask why is it essential to keep the same players at the table forever and why the board targets specific groups within our entire property owner population with individual e-mail messages from incumbent board members to continue to vote the same people in when not sending a general unbiased get out and vote message to all property owners of Timberwood Park? After all, doesn’t the incumbent board serve all property owners?